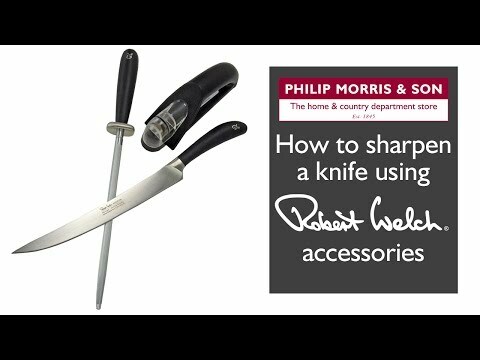 This Robert Welch 18cm Cooks Knife is an all-purpose knife, it has a curved blade that enables a rocking action ideal for chopping and dicing. The knife has a curved handle to stop your knuckles from hitting the work surface when cutting. All Signature knives by Robert Welch are made from fully forged steel meaning the knife is made from one piece of steel adding strength and quality. Robert Welch knives have been endorsed by the Craft Guild of Chefs, receiving their highest grade possible.